Tonight’s game versus the Saints is amazingly similar to the 2009 game in New Orleans. They were undefeated and playing eerily identical to this years squad. That game was in New Orleans, this one will be at AT&T stadium. 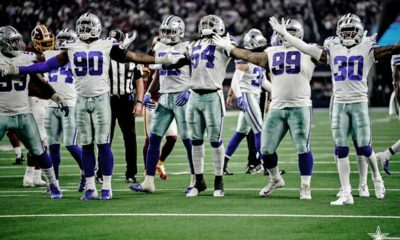 Dallas was a good, solid team, but weren’t playing at the same level as the Saints at that time, but the Boys shocked the New Orleans faithful. Romo got the Boys rolling early with two 1st quarter TD’s and a 17-3 halftime lead. The Cowboys defense that year was one of their better one’s and kept the Saints from running up and down the field on them. It was a wild finish with Brees leading two drives to pull within seven points. 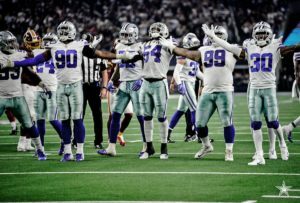 One last gasp was thwarted, with Demarcus Ware causing a fumble which was recovered by Jay Ratliff and that effectively ended the game. That makes this game a very interesting contest for those who remember the 2009 game. Earlier in the season, many of us may have looked at this as a the most difficult game for a Dallas win. No one’s hotter than New Orleans right now, which makes this appear as a recipe for doom for Dallas. The Cowboys the last three weeks have put a very balanced team on the field. It really starts with the defense for this years team. They’ve been able to keep the opposing offenses from getting out of the gate and tonights game they really need to repeat that. I fully expect that Sean Peyton will have his team tie up their track shoes real tight this evening. Its imperative that the defense controls if not stops their running backs. From there a few stops on third down, should we see them even get to third down would be crucial for any chance at victory. In my humble opinion, the Cowboys must hold the Saints to 24, maybe 27 points if we’re to have any chance of pulling this game out. We can’t get into a track meet with them with their scoring in the high 30’s or 40’s. We’re a ground and pound team and we need to keep the ball for long stretches and out of Bree’s hands. We’ve seen a return to success on the ground since the arrival of Amari Cooper. It’s going to take more than one WR to make a difference in a highly visible game. We have two teams with an arrow pointing in an upward direction. New Orleans lost their opener to the Bucs, believe it or not. Since then they’ve run off ten consecutive wins. Their offense has posted 40 or more points in five of their eleven games. 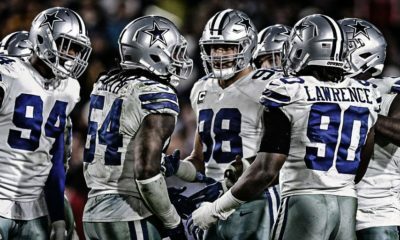 A track meet is a game I don’t see the Cowboys being able to win, so our Boys on defense need to produce their best game to this point of the season. That means that DLaw must make his presence felt, same for Gregory on the right side. The tackles must stuff the middle and the LVE & Jaylon have to contain Kamara & Ingram. Between them those two have over 300 touches, 20 TD’s and average over 4.5 YPC. That means that these two are involved in approximately 27 -28 plays per game. Roughly half their offensive plays and the trigger man of course is Drew Brees. I realize that many elect Brady or Rodgers as the best QB’s in the game, but Bree’s may be ahead in my book. I think Bree’s runs his offense the best, with only rare incompletions. All three rarely throw any interceptions, thus limiting turnovers. When you’re wondering where a play may be going, look to these two backs being involved. The Cowboys defense certainly has their work cut out for them tonight. It will be a great test to see just how good this defense is or isn’t. The strengths and weaknesses, which is a crucial lesson for this season and beyond. This is the single most important aspect of this game for me. We need to know if the defense is really above average and the future strength of this team or not. Their performance against a team bringing everything they’ve got into this game will speak volumes for the balance of the season and heading into next years draft. 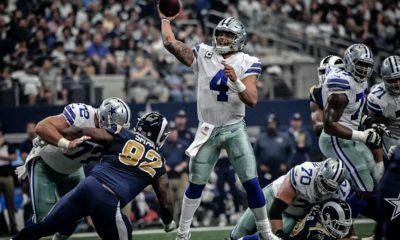 This game has huge implications for the Cowboys and the NFC East as the final segment of the season starts in another week. While we’re doing battle with the Saints, the Redskins in a tie with us face-off against the Eagles who are just a single game behind. The Eagles are also our next opponent in 10 days. The winner of that game gains a strong hold on winning the East. But lets not get too far ahead of ourselves. I haven’t mentioned really anything about our offense. We all were jacked up with the plays made by Amari last week. But in reality he took mid range (12-15 yard) throws to pay dirt. They weren’t routes to take the top off the defense, yet his threat of speed makes the defense respect his speed. I’m expecting that Cooper will face double coverage rolled his way a good deal of the game, particularly in obvious passing downs. Who’s going to make the key plays on third down if Amari’s covered up sufficiently that Dak won’t attempt the throws his way? We certainly need to be concerned about the production from Beasley, Gallup & Hurns. Other than a few games Beasley has struggled getting the ball. 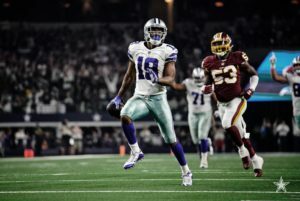 Hurns & Gallup average less than two receptions per game. Where Amari was really effective last week was on third downs as he was able to make first downs or a TD on those targets. The “other” guys need to be producing on third downs when Dak goes their way. I’m not talking about getting 5 yards, when 6 yards were needed. We must continue drives to be in this game. 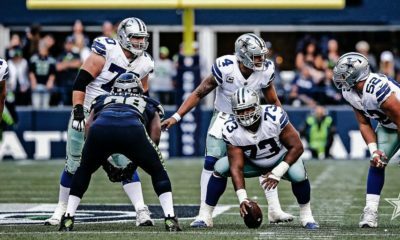 They will do as all teams do and that’s the stuff the middle and limit Zeke. Naturally, Zeke needs to have a big night if the Cowboys are to win. The prescription for victory starts with the defense getting stops on third down. Controlling their two backs and limit them with our linebackers needing their best game of the year. Offensively, it will start with Zeke and his ability to get a few chunk runs, but a boat load of those 4 to 6 yard runs. If we’re playing third and long all night, the offense won’t post enough points. Really need a clean game, no turnovers! We can’t rely on getting them from Bree’s and his guys, they really protect the ball. 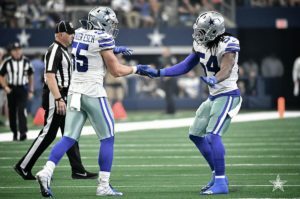 If Dallas plays their game and is successful on defense, they can get a 27-24 win. If they can’t get things going offensively, then this game can get away from them and Peyton will punish Dallas for the whole NFL world to see. I’m expecting Peyton to use the national stage to show his prowess as a head coach, with a few gimmicks and plays not seen before. He’ll have a few things up his sleeve and to show up Garrett and Jerry on national television. I’ve always felt that he wanted to twist Jerry’s stomach in knots for failing to make him the head coach in Dallas.